Even though dead for seven years, there was no way my daughter would miss her friend’s wedding. So when my invitation arrived, I knew immediately that I would wear something of Marika’s to the event. I searched through closets and drawers for her black sequined shrug. It would be the perfect thing over my cocktail dress. Only, I couldn’t find the shrug. Anywhere. For two days I pulled apart the whole house, but it didn’t turn up. The only other clothes I still had of Marika’s were her soccer sweatshirts, winter scarves, and a tank-top. Totally inappropriate for a wedding. 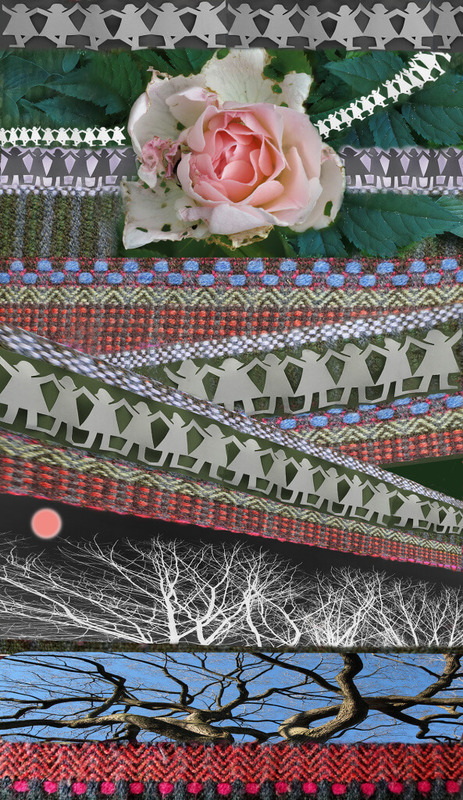 I came up with the idea of photo-shopping an image of Marika as a young girl onto a flowery background, and then getting the picture printed on cloth so I could sew it up into a new dress. 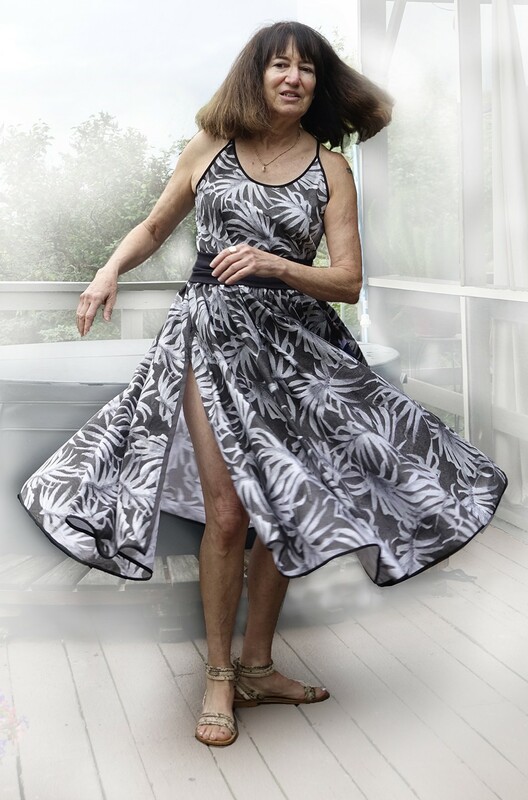 A Marika Dress. For days I sketched pictures, made a paper pattern, shopped for trimmings, and researched companies that would print photos on fabric. I immersed myself into the project with an energy and enthusiasm that had been absent in my life the past seven years. “That’s totally inappropriate for a wedding,” a friend of mine said, when I told her my plans. Suddenly, I felt myself sinking into a dark abyss of grief and shame. I was wrong, weird. Out of place. I’d always been a little different, “You’re an artist so it’s okay that you’re kind of kooky,” someone told me long ago. Having my daughter die made me even more unlike most people. More self-conscious about who I was and how I fit in. Less likely to attend parties. I never wanted to call attention to myself or offend anyone. What I wear doesn’t really matter; just being a bereaved mother at an event like a wedding feels like standing naked in a crowd. Now, I was being inappropriate. And about to make people uncomfortable. But working on the project had given me so much joy, I decided to make the dress anyway. I could wear it to The Compassionate Friends monthly meetings for bereaved parents, where they would understand my wanting to “take” my daughter to the wedding. For the ceremony I would put on the cocktail dress with Marika’s tank-top underneath. Finishing the project, I scoured the house to find a satin sash to top it off. And during the search for the sash, I found Marika’s sequined shrug. It would be perfect over either dress. So now I have to decide. Or maybe I’ll leave that up to the bride and her mother. Do you think the new Marika Dress would be inappropriate to wear to the wedding? 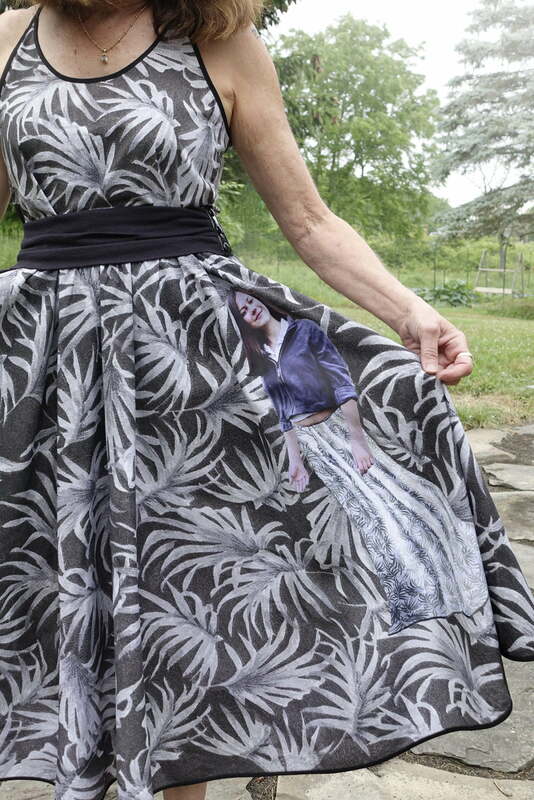 This entry was posted in 2018 and tagged being innappropriate, bereaved mother at wedding, carrying deceased loved one, daughter died, printing photo on fabric, wedding guest dress, what to wear to wedding on 2018/07/02 by Robin Botie. When the pain in my back got so bad that I couldn’t sleep left-side or right, or even belly-up, I went shuffling to my doctor’s where the nurse weighed me, took my blood pressure, asked where it hurt, and finally looked at me, cocking her head, and said, “Have you been depressed lately?” At which point I broke down into a drippy, wailing mess. 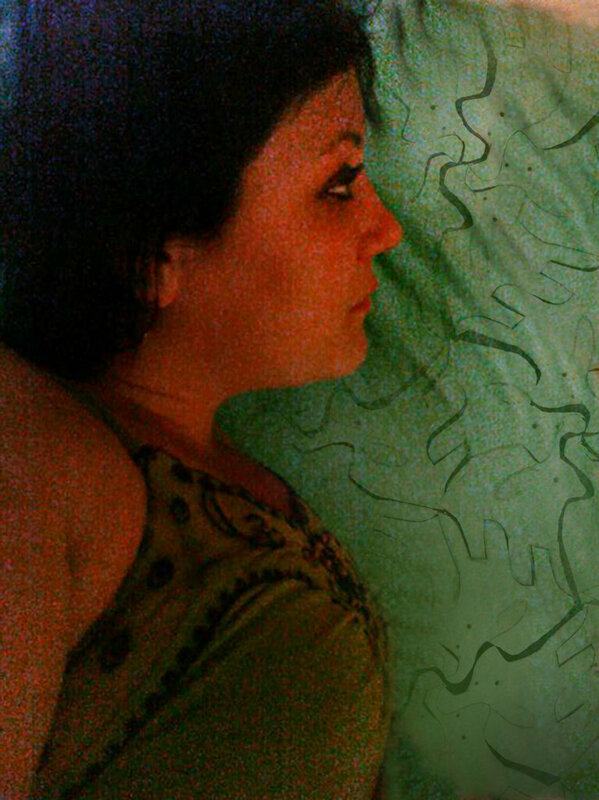 Without going into the whole story of my daughter’s dying seven years ago, I wanted to let the nurse know I felt entitled to some depression. But the question left me speechless. I stood there shaking and sobbing, looking anywhere but at her eyes, wondering if I had liver cancer, and wishing I could just curl up to sleep. Hanging on the wall was a children’s book illustration of a sleeping family. 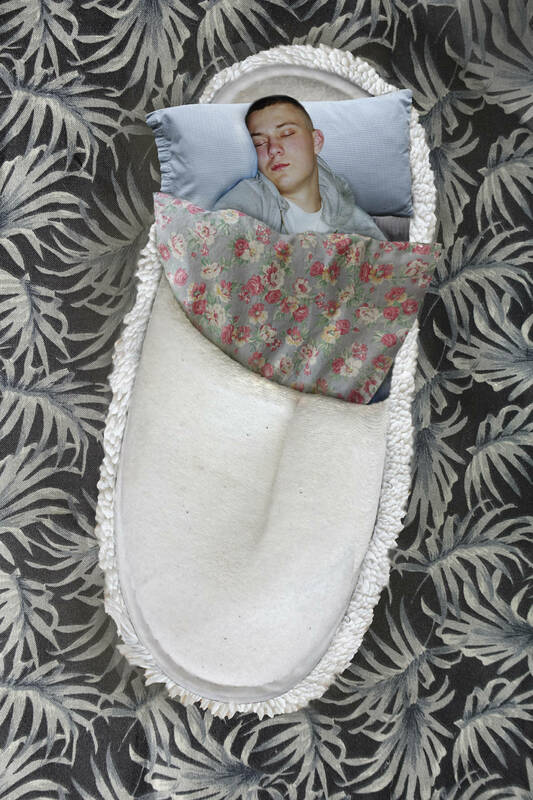 They were floating in the sky, each member cozily cocooned in their own fuzzy, quilted slipper-shaped bed. I returned home with comfort food from Wegmans, Aleve, and a prescription for physical therapy sessions, and spent the next several hours visualizing my pain away in Photoshop. I’m calling it a Self Care Day. This entry was posted in 2018 and tagged back pain, children's book illustration, comfort food, daughter died, depressed, photo-shopping, self care, Self Care Day, taking care of yourself on 2018/04/23 by Robin Botie. “Another boulder,” I hooted, as Excavator #5 dislodged a large mud-covered rock. That made four. Four boulders now sat in my yard. Solid. Substantial. They would outlast me by eons, hanging out on this land forever. Always. If a stone in Central New York could tell its story, it would reveal that millions of years ago it was detached from its parent rock by weathering and erosion. It was then pushed and dragged by glacial ice, scraping over soil and stone. Sometimes stuck in stream beds, the rock’s rough edges were rounded, worn smooth. Once settled, it sat for ages, being built around or buried, or left alone as forests grew up around it. A rock in New York could be two million years old. This is why each boulder I find, I love. My biggest boulder had been pulled from the bottom of the pond years ago. By Excavator #4, shortly after my daughter died. The pond was deteriorating. Muskrats. Weeds. Algae. I was trying to save it. Marika and the muskrats were the only ones to swim regularly in the pond. When she died, I had told people, “I feel like frozen mud, like a heavy lifeless rock.” And then the excavator found the Pond Boulder. The Pond Boulder must have first been unearthed back in 1998 when Excavator #3 dug the pond and then left the heavy nuisance he found at the bottom. My third pond. Built with my second husband, by the third excavator. It was my third home on the same land. Nothing lasts forever. For many summers the Pond Boulder sat as children swam above, kicking and splashing on pink Styrofoam noodles. Years later the huge rock, fished out by Excavator #4, was rolled to the base of a nearby tree. And last week Excavator #5 bunched all the boulders together into a kind of giant rock garden. My boulders. Like I could ever own them. Or hold on to anything in this world. What lasts? What can you count on to be there when the world as you know and love it is washed away? 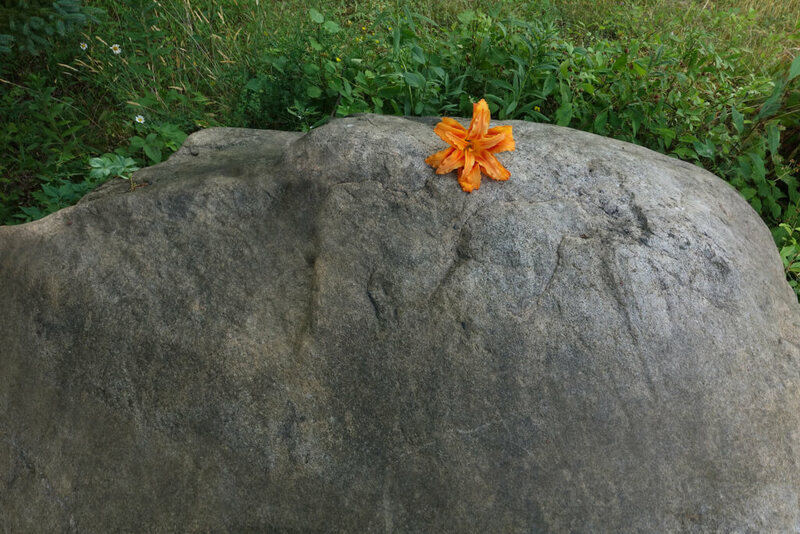 This entry was posted in 2016 and tagged boulders, daughter died, daylilies, grieving, nothing lasts forever, stones in central new york, what lasts on 2016/07/18 by Robin Botie. This sky lantern is for you, beautiful one, wherever you are. For your, (what do they call it? ), birthday-in-heaven. Also, since the lanterns came only by the dozen, I’m mailing the other eleven to family and friends. So in this month before your birthday, you will get twelve lantern-launching ceremonies. If I could send you a dozen roses or a trillion chocolate Kit-Kat bars, I would. I love you. Lots. I didn’t really need to write this on the lantern; I’d already said it, in our driveway under an almost-full moon, to my daughter who died. Long ago, the first rituals I created were funerals for dead birds. The neighborhood kids shared solemn words as we wrapped small creatures in Kleenex, with shriveled dandelions and daisies, and buried them in my mother’s rock garden. Later I created ceremonies, mostly around food, to acknowledge monumental changes in my life. We’re not talking séances or anything strange here. Rituals are simply small acts done to honor someone or recognize some event. We do rituals all the time. Like lighting candles on a cake and singing happy birthday. Like raising the flag. Planting a tree after a birth or a death. Clinking our glasses to toast someone. For some reason, my most recent rituals almost always involve sending things UP. When my father died we gave his ashes to a friend, who had a small airplane, to toss them out over the Long Island Sound. For my daughter, we let loose a bunch of homing pigeons. Over the last five years, I’ve released balloons and butterflies for her, blown bubbles off high cliffs into the wind, read poems to the sun, and sang to the moon. Why, I wonder, do I keep looking UP for my daughter even though I found a page of Walt Whitman’s Song of Myself among her things, the part where he wrote, “If you want me again, look for me under your boot-soles”? I’ll plant daisies, or roses, too, I tell her. It all helps. Rituals make me feel closer to my daughter. More connected. And all the singing, the lanterns, the birds, and butterflies I send UP – in the process, I’m lifting myself as well. What other rituals might I do for the upcoming birthday? Or for the coming of spring and summer? 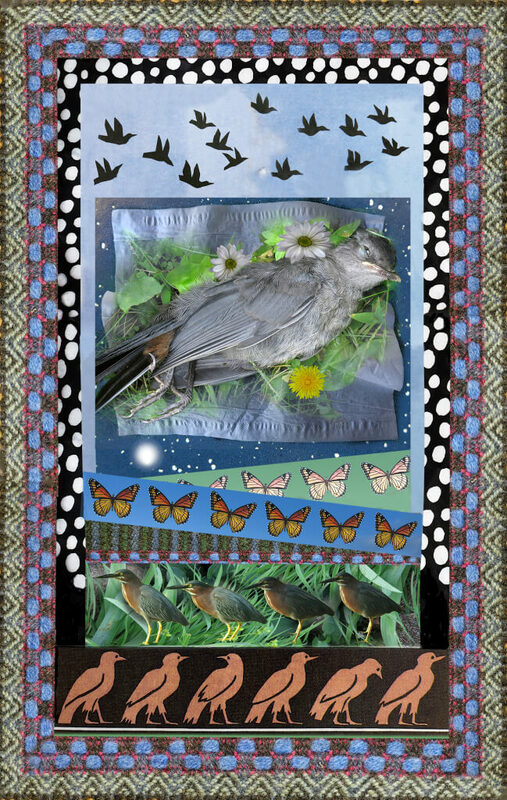 This entry was posted in 2016 and tagged birthday in heaven, creating grief rituals, daughter died, Healing after loss, releasing butterflies, rituals for grieving, sky lanterns, walt whitman's song of myself on 2016/03/28 by Robin Botie. “My daughter is….” “My son … heroin, meth, …addicted,” people who know I “lost” a child send me emails and personal messages online. Offline, I hear it going around the table during introductions at bereaved mothers’ gatherings. Almost every day there’s another heartbroken parent. Waiting for The Phone Call. Preparing for the worst. Aching. And OMG, I hear the pain. I remember that pain. It isn’t so different from when your child has been diagnosed with cancer. Your heart sinks into your gut. And there’s little you can do to get rid of this scourge. You start wondering how you contributed to it, what was the something you did or did not do. You’re angry, sad, and ready-to-embrace-whatever-might-help scared. Addiction, like cancer, is a deadly disease. Mostly, what I remember from plodding through the wilds of cancer, is fighting for my daughter, for her health, her life. Fighting and worrying. And loving. You love so hard it tears the breath and light from you. “We will never be out of the woods,” one mother told me. And it’s true. There’s nothing I can tell them. “I’m sorry,” I say, the same words people said to me when my daughter died. The only thing that helps, either side of the forest, is knowing you are not alone. There are gazillions of us crying for our children, praying for our children, singing to the moon hoping our children know we will always love them. However they are. Wherever they are. Or are not. If you are the parent of a child with an addiction, I humbly share your tears. What do you do or say when someone is in pain over a loved one’s addiction? This entry was posted in 2016 and tagged addiction deadly disease, addiction like cancer, afraid to ask, daughter died, heartbroken mothers on 2016/02/22 by Robin Botie.